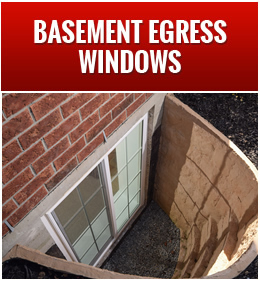 We are THE authority in installing egress compliant windows in existing basements - finished or unfinished - and we guarantee there will be no mess! We have developed a system that does not require your interior carpet to be removed during installation, and we use yard protection mats to protect your beautiful lawn. We call it "No Mess Egress™!" No mess to clean up on the inside, and no damage on the outside! What is an Egress Compliant Window? An egress compliant window is one that complies with the egress window code. The code requires that the window be of sufficient size to allow a person, or a fully equipped firefighter to pass through it. Egress compliant windows come in many shapes and sizes that meet the minimum requirements of the egress code. When bedrooms are added to the basement without complying with the egress window code requirements, a dangerous firetrap is created. 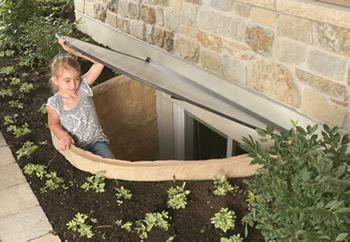 The IRC, "International Residential Code," requires that every sleeping room in a house have two means of egress in it with access to the exterior of the home. To see the Egress Window section of the IRC, click here. Foundation Builders LLC is your solution! There isn't a question we can't answer! We have over 45 years of experience in the home building industry, have built over 690 homes and foundations, and we have a laser focus on egress compliant window installation. We are experts on the installation of egress compliant windows! 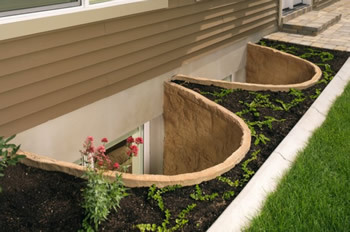 To see photos of Basement Egress Windows, click here! Good work. Had to wait awhile they were behind on other jobs. Once they began it was completed within 3 days. Mike and his team installed a basement egress window for me. I'm very pleased with the end result. 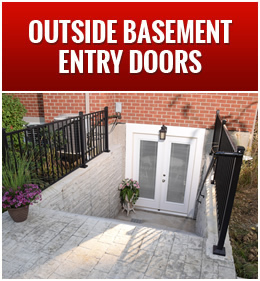 We have a beautiful egress window and the piece of mind it provides just knowing that in the case of a fire, anyone in the basement can egress quickly and safely. "Mike and the Foundation Builders crew did a great job on our project. Mike was there to answer all our questions throughout the process and handled everything very professionally. We chose Foundation Builders over other contractors because they have a great system to contain the mess - nothing ends up inside the house; they provide a large 48" x 48" slider window which was superior to other estimates we received; and Mike's knowledge and experience gave us the confidence to know they were going to do the job right. We had three windows installed so this was a big undertaking and a big investment and we are thrilled with the results. These windows added a ton of natural light to our very dark basement bedrooms and we love the peace of mind knowing that there is an easy way out in case of emergency. We have made many home improvement investments over the years and this has been one of the best. We would definitely call Mike and Foundation Builders for future projects!"